Kanto Freestyle — Not Your Typical Breakfast | Tell Me… Am I From This World? Who would have thought that there is an eatery that serves hotel/restaurant-like dishes? I mean, a typical Filipino eatery (carinderia), that is located in the side street in a residential area, with only folding wooden tables and monoblock chairs to use for their customers? No airconditioning or any intricate designs around for your eyes to feast while eating, but instead, you can choose either to eat in a table on the side of the street fronting the eatery or be seated on a small room previously used as an internet cafe. 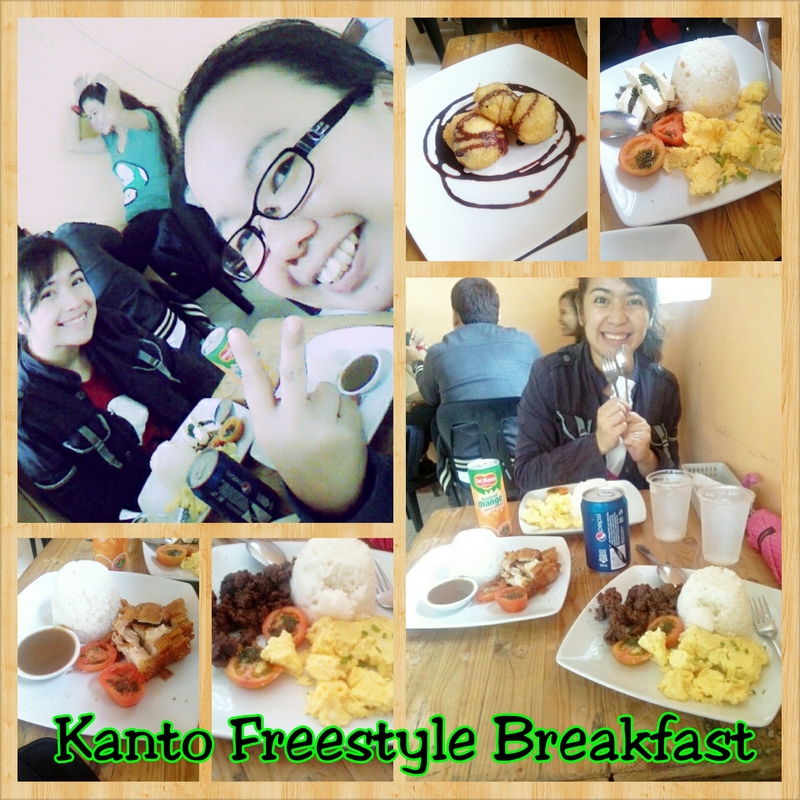 Last week, my friend Hazel and I went to Kanto Freestyle and tried some of the food that they have there. We have been hearing a lot of good reviews about this eatery that we can’t help but try it ourselves. Even if we are so sleepy and almost lost our way going there, still, we pushed through. Hazel and I ordered Tuyo Flakes with Kesong Puti, Batangas Tapa with Garlic Rice, Crispy Pork Belly and Fried Oreos for dessert. Hazel finished her Tuyo Flakes while I had Batangas Tapa, then we shared both the Crispy Pork Belly and Fried Oreos. We liked all the main dishes especially the slices of tomatoes with pesto but was a little off with the Fried Oreos. For us, though it was good, it was a little greasy once you take a bite. It might have been deep fried and wasn’t drained much. Overall, we would still want to go back and try other food they offer.. But we know that we have to endure again the long queue and the possibility of waiting for a table to be available. Still, you can’t find a similar place like this anywhere in the metro. Previous PostOffice Work Is Fun!! !Next PostInto Great Silence — One Of The Best..